I hope you are well and having a fab week......this is a scheduled post from me I'm afraid....as I am currently relaxing in Spain with the girlies! I flew out last Sunday afternoon...so hopefully by now I am well rested and relaxed! 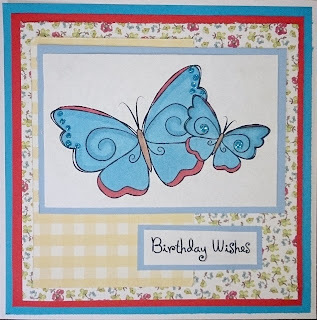 I am here today with a new challenge from Sweet Stampin...this week we'd like to see your creations featuring things with wings! 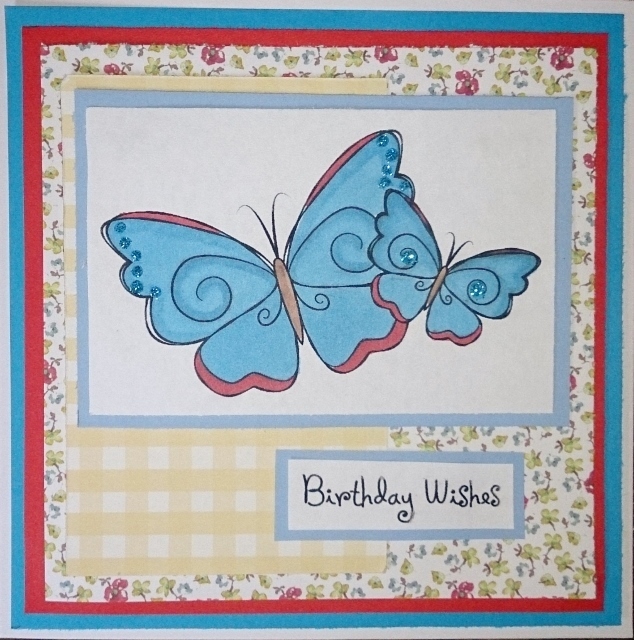 When I made this card, the weather had just started to change and I was feeling quite gloomy! So I decided to create a really bright card, with splashes of red, blue and yellow! My image has been coloured with my Promarkers, and I have added a little sparkle with my Stickles. I hope you're having a lovely holiday. Lovely card. Hope you're having a lovely holiday. Get fancy with your folds!